As we age, our bodies naturally begin to lose muscle and bone density. Continued bone loss can lead to osteoporosis, muscle and joint pain, and injuries as well as increased risks of developing chronic metabolic diseases. However, it is no reason to throw in the towel, as there are things we can do daily to slow down or even stop that process. 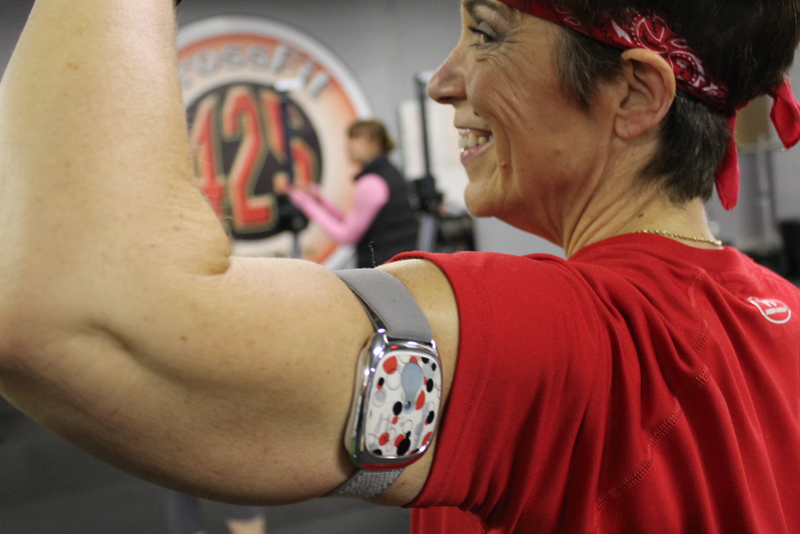 Studies long have shown that weight training not only slows down muscle and bone loss, but it can increase your body’s protein and metabolite levels; both of which stabilize the immune system. According to the Journal of Applied Physiology, performing prolonged resistance type exercise training improves functional performance as well as increases skeletal muscle mass in the elderly. If you have not done much weight training before, it can be intimidating and even bewildering to head to the gym and just start. We highly recommend setting up an appointment or 4 with a certified personal trainer. Most gyms have them on site or asking around can get you some good recommendations. Weight training can do amazing things for your health, but can also cause life long injuries if not done correctly. Do NOT assume that badass muscle-bound individual is lifting correctly or with good form. Life long legendary body builder Ric Drasin has some great tips to weight training in your 50’s and beyond. He has learned as he is aging to do lighter weights and more sets, as well as using more machines and less free weights than what he used as a body builder. Once you have met with a trainer to gain a basic understanding of how to lift safely and with good form, how repetitions and sets work in your favor, then here are some tips to get you started with confidence and success for body building as you age. Check out this article for more details and tips from a pro. Set a regular schedule and you are more likely to keep it. Put your weight training into your calendar as appointments and schedule other events around them. It won’t be long before it is a regular part of your week and you will miss it when you skip it. Avoid mini workouts! Yes, it is possible to get a full body workout done in 20 minutes, but this should be saved for when you are in a pinch, not a regular routine each week. Especially when you are first getting started building your fitness through weights, it takes months of regularly planned routines to be comfortable and familiar with what works for your body. Make sure you have comfortable, moisture wicking clothing and quality workout shoes for support. They may cost more up front, but proper support will help prevent injuries and protect your joints. Don’t forget a good warm up, stretching, and cool down. Weight training on “cold” muscles can directly cause injuries. No short cuts! Leave the ear buds behind-at first. When you are first learning the movements and form, you need to have full focus and concentration. It can be too easy to get lost in your tunes and also lose good form. Here is a motivational video with training tips for real life women ages 50 and over. Joe Hashey has some great tips for getting started, preventing injuries, and understanding repetitions and sets. What are some things that have worked for you as you have started or continued your weight training programs in these years over 50? We would love to hear your stories.